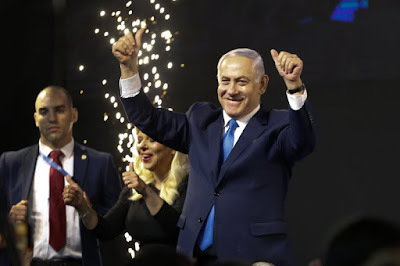 Prime Minister of Israel, Benjamin Netanyahu has won the Israeli national election, securing a record fifth term in office. Though neither party captured a ruling majority in the 120-member Knesset, the results published, put Netanyahu in a strong position to form a coalition government with right-wing factions. The veteran right-wing leader's Likud party is seen to win 35 seats, according to the Knesset website and the Israeli TV channels. That would mean a five-seat gain for Likud. With 97 percent of the votes counted, final results were expected by Friday.